Well before we registered for a lucite coffee table in 2007, I have been coveting this design piece for our living room. Domino Magazine showed a larger-scale example above. Lucite would open up our whole space, making it feel larger. 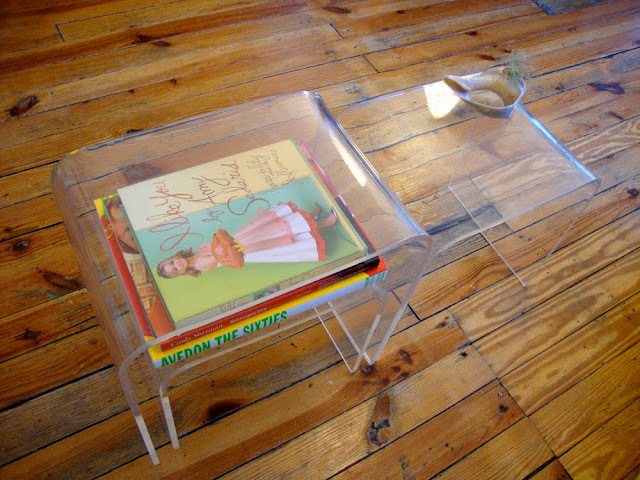 We found a perfect solution in these three lucite nesting tables that I saw at Sandford and Sven's. We have them arranged perfectly to serve as our coffee table. With the smallest placed under the largest, as per my husband's suggestion, we have the perfect spot to have our books, while clearing up the top of the table. I love it! Perhaps the best part? Nothing blocks our view of the pups. 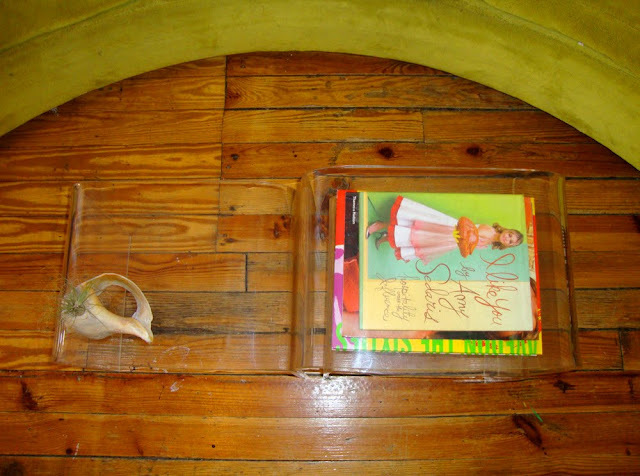 i am loving that lucite table....yes mam!!!!! and your puppies are adorable! 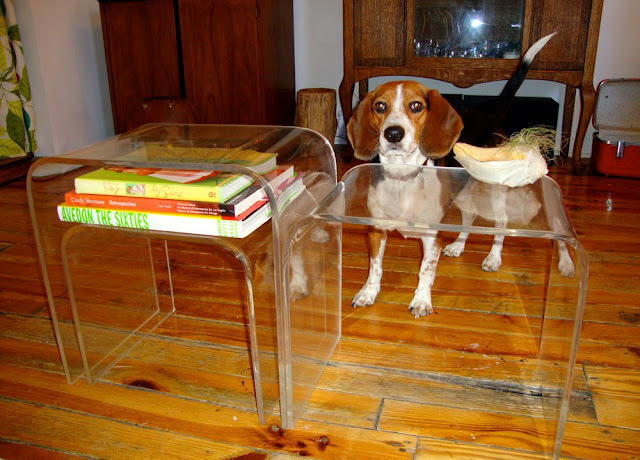 great tables and adorable puppies! I love it, such a good idea. Especially love the Amy Sedaris book!! I love everything about lucite. Looks amazing! Fabulous couch, cute pups, and of course love the Amy Sedaris book. Nice find! 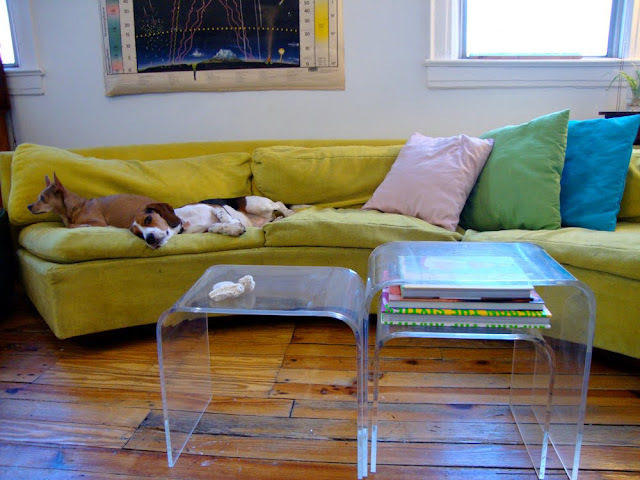 Hi- I came across this page and am curious as to the dimensions of the lucite nesting tables to work as a coffee table? I know page is from 2010 but was hoping you could help?